One of LJY Netzer’s four pillars, which make the core of our movement’s ideology, is reform zionism, and in addition to this Netzer Olami (of which LJY Netzer is a part of) is the Zionist youth movement for progressive Jews through-out the world. With all this being the case, why is it a topic we continue to shy away from and class as confusing? In the past year our theme of the year has been “Reclaiming Zionism”, and through this we have been able to explore our relationship with zionism, educate ourselves on zionism, and to strengthen our connection with the concept of being a “Zionist”. Zionist is a word which so often holds negative connotations within mainstream society, and even within LJY Netzer is something that not many of us feel comfortable expressing as a part of ourselves, or may not even be something we feel is to do with us. Though after a trip to Israel to attend the Jewish Agency Board of Governors Meeting with ARZENU I have come to realise the importance of being a reform Zionist, and how valuable our voices are. ARZENU is the international federation of reform and progressive religious Zionists, who recently hosted a trip for young people from different reform and progressive youth movements to attend the Board of Governors Conference which is usually closed to those not a part of the Jewish Agency for Israel. 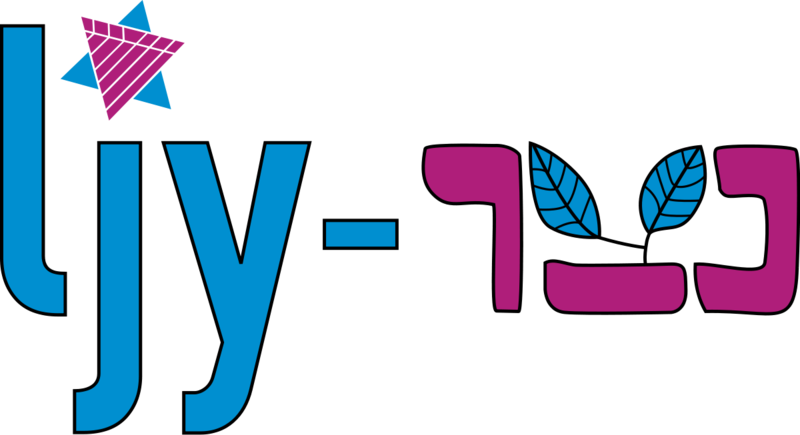 The Jewish Agency for Israel is an organisation which brings Jews to Israel and aims to improve society in Israel and connect Jewish people worldwide. Fran Kurlansky, Jess Mindel, and myself were invited to attend to represent LJY Netzer on this trip. Attending the Board of Governors Conference was a unique opportunity to learn more about these important organisations, but also an opportunity to learn about the different and contrasting viewpoints held by those within the Jewish Agency, and the perspectives of different Zionists. The trip also allowed the delegation to explore how we saw ourselves as reform Zionists and what the importance of this is. There are many different definitions or ways to describe what it means to be a reform Zionist, and in LJY Netzer a common response to the question “What is reform zionism?” is often “We aren’t too sure, it is confusing”, and I strongly believe that as a movement we need to stop thinking this way and move towards embracing our ideology and identity as reform Zionists. The more we tell ourselves reform zionism is too confusing, the less we try and engage in zionism, and the less our voices our heard in this worldwide political discussion. In my eyes, what reform zionism simply is, is the belief that Jewish people should have the right to a Jewish state, while being able to recognise the flaws of Israel and engaging in discussion in order to improve the state. Being a reform Zionist is taking our ideology as liberal Jews and applying them to how we picture our ideal Jewish state. The important parts of reform zionism is not simply seeing all the flaws of Israel, but wanting to be a part of the improvement. It does no benefit to anyone to see the things we don’t think are right and then disengage from the issue, as this just prevents our viewpoint from being heard, and means the people we don’t agree with are allowed to continue with their actions without any opposition. If we don’t add our voice to this critical conversation, those with a voice opposing ours are able to state their opinions unchallenged. On this trip and in this conference I was exposed to many different people’s political perspective and different degrees of Zionist ideology, and in the large majority I heard from people with very different Zionist perspectives to our own. It is of vital importance that we learn more about zionism and find our identity as Zionists so we can engage in these discussion, as zionism has a large impact on shaping Israel’s government and laws. If we want to change Israel in any way, being heard in discussions in settings such as these is the place to start. Engaging in reform zionism allows us to not only be involved in discussions now, but the influence and shape future discussions with a new and more liberal perspective which reflects our ideology and values. Those who hold a different perspective to us don’t necessarily want us there as we have the ability to challenge them on their beliefs, and we need to be a part of these discussions in order to do that. As liberal Jews and reform Zionists, we need to be vocal and enthusiastic about our beliefs, and in addition to this, we need to stop telling ourselves that reform zionism is too confusing, and must instead believe in ourselves and our ability to make change. As a part of this conference, the youth delegation from ARZENU were able to voice our opinions at discussions, and in some cases change the status quo of the conversation. Our youth movement is a reform Zionist movement. We are so strong in so many areas of our ideology; we know so much, discuss so much, and are able to educate on so much. Reform zionism needs to be one of these things. With Reclaiming Zionism as our theme of the year we were able to begin this discussion, but it cannot end there. Reform zionism is a part of our ideology and something we should not shy away from. We need to be passionate about our beliefs and use our ideology and power as a movement to make change. We cannot accept that things happening are unchangeable and must instead debate and discuss with those we do not see eye to eye with. We can help to create an Israel which is open, accepting, and safe for all people if we have the knowledge and confidence to voice our opinions, and use them to build the Jewish nation we aspire to have. Reflections on Calais and the Refugee Crisis.